I have been somewhat under the radar the past couple of weeks. A combo deluxe of lurgey (a bronchial bleurgh), intense work schedule and travel. This evening I am peeking out of the void gently and gingerly. Last Friday evening I arrived home, shook my sleeping travel bag and hastily threw in the essentials I would need to be away for 11 days. I am becoming so blasé about travel, I really do fear that I will land in Bangkok one of these days without the essentials. Particularly bank cards which I do not use in Yangon. I have even had nightmares about this, and have no idea how on earth I was deal with the situation if it did arise, so I send myself text messages and emails to remind me! Early Saturday morning, I again sipped my departure cup of tea, zipped and closed the travel bag, checked ticket, passport and those essential bank cards, and waved goodbye to hubby and doglets. This time I was to transit Bangkok and travel onwards to Vientiane, Laos. The distance is not great, but connections are not great either so it takes the best part of a day to get to Vientiane, so I was very glad to reach safely and without any interference in the form of storm clouds this time. 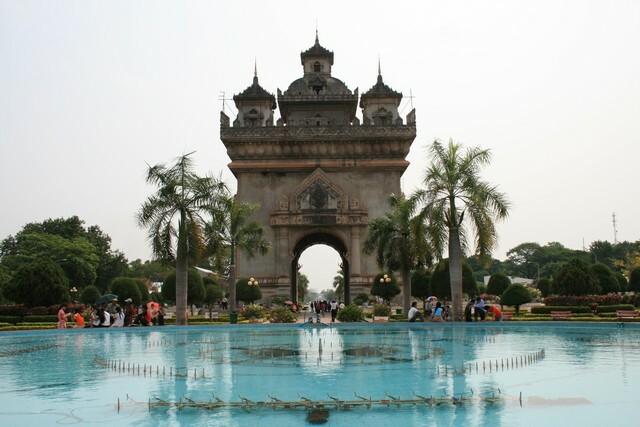 This is the first time I have been back to Vientiane since my first visit 12 years ago so I have been looking forward to the trip. Unfortunately, some reprise or new lurgey descended not long after I arrived and all of my energy has gone into the day work and I have not yet had the strength or energy to visit the city and see how much it has changed. So the photo below is not one of mine! It is a Lao tourism pic, just to give a flavour while I regroup enough to venture out and about. While I have been ploughing on and trying to banish feeling rough, I have received something very exciting. Something which made me squeal with excitement and not quite jump, but at least animate me! The Dragonfruit Anthology is getting more real! Our editor, Shannon Young, has received a REAL copy of the book, with REAL PAPER PAGES. How exciting is that?! Our contributor copies will arrive soon, and then be sent on to us and then I will be able to hold the book in my own hands! It is now only 11 days until 10 June, when our Dragonfruit Anthology (as we affectionately call our book) will be published! 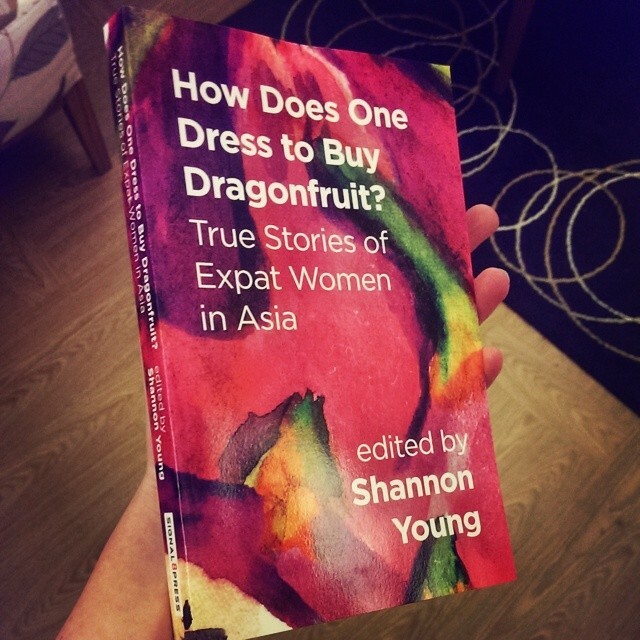 I am not sure how many images I will be able to take of Vientiane, but I can guarantee one thing – I will be unbearable when I have my own copy in my hands and there will be MANY images of Dragonfruit! I feel as if the dry season has stretched a little this year. Weeks and months creep past, with hardly a drop of rain. Showers which we can mark in the calendar. Yes, that was the week it rained, we remember. A January rainstorm and an April downpour. Aberrations, punctuating the increasingly stifling heat building around us. We start to dream of rain, to imagine we hear drops falling. The wind rises, whispering promises of rain soon, soon. My heart soared two weeks ago, on a stuffy Saturday afternoon when I heard that unmistakable sound of large, bulging raindrops falling outside. Raindrops I could count, and see their mark on the ground briefly before they were swallowed by the parched ground. There is only one thing to be done on hearing this sound, and catching the scent of fresh rain in the air. Before I know what has happened, I am in the garden, face upturned and arms outstretched, welcoming those first delicious rains onto my face, smiling and laughing like a child. The shower might be brief but so refreshes the mind and body and sharpens the anticipation of the rains. The rain came again on Tuesday, hidden while I was inside the airport building and unseen until boarding. Such a sense of disappointment and being cheated, at not being able to watch or feel the rain as it swept in. The rain on a runway is not the rain I had been dreaming of, nor the rain streaked horizontally across the cabin windows in the aircraft. Nor the dramatic rain storms underneath while we were kept on hold above our destination. 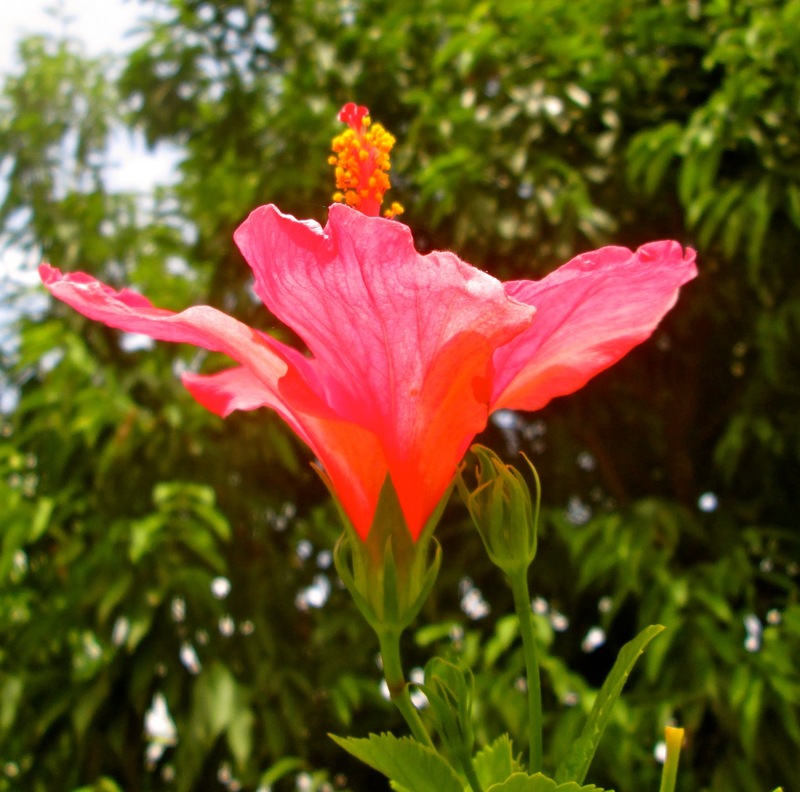 It might have been “not quite the right kind of rain” but it was a renewed promise of monsoon. It has rained every afternoon since then. Bulky clouds with attitude gathering in the sky, thunder rumbling and cracking, spirited breezes materialising from nowhere and rains teeming down. Alongside a renewed energy and exuberance within each of us. The frogs are wakening and critters being washed from their hiding places. The landscape will quickly change. And so too does my image for now. Over this dry season, I have become increasingly fascinated with the play of light, of shadows and of reflection as I struggle to get to know my camera, and try to capture glimpses of magic I see around me. I am also a little naughty with the concept of “selfie” photography and have my own version which protects my privacy yet places me in my environment. The “Shadow Selfie” is what I call it. Now that the rains are moving in I am sure there will be less shadow and I have therefore chosen an image which comes from this very special time when the season starts to turn, and the trees come to life with their array of colour. 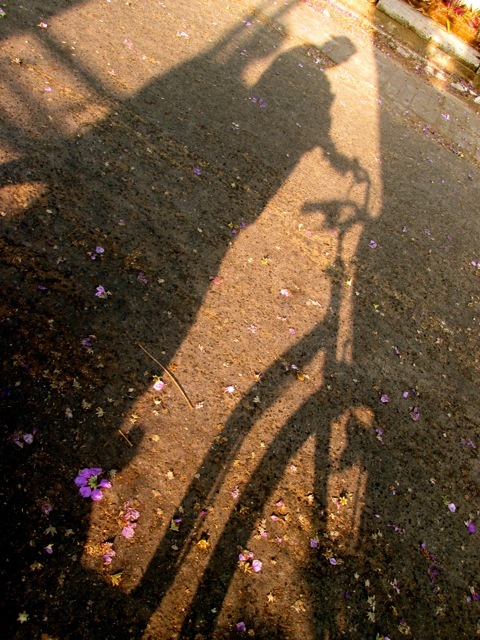 I particularly love the jacaranda and could not resist a “shadow selfie” under a blossoming jacaranda tree as I paused on my cycle home from my early morning swim. The jacaranda is already shedding its colours as the season changes. All the more reason to preserve it just a little longer.